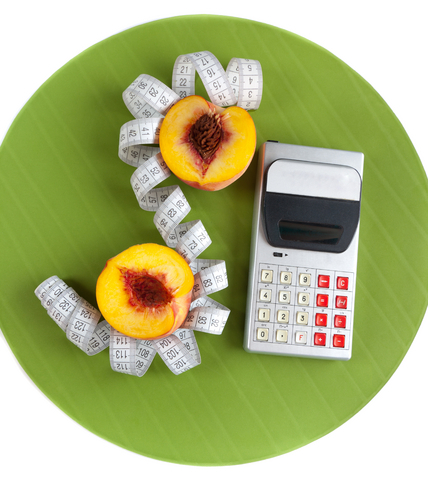 I think the best thing about counting calories is that it demystifies weight management. It is a very useful tool in managing your weight. There is no longer a conundrum about how much to eat, or did I eat too much? When you get into calories, it becomes simple arithmetic. If you can add and subtract, you can lose weight by counting calories. Of course, you need to exercise discipline, too. So, weight-management becomes a character-building process. In the old days you had to write everything down. These days, you can use your computer, or cell phone to get calorie counts and track your intake. There are 3500 calories in apound. A 165 lb man has a daily budget of 2200 calories a day to maintain his weight. To lose weight, e.g. a pound a week, (This is a healthy rate. Much more than this is not healthy or recommended. Remember, it took you months/years to put those pounds on, don’t expect them to evaporate overnight.) you need to take in 500 calories per day less than the 2200 you need to maintain your weight, or 1700 calories. There is more than one way to do skin a cat, or to get to be a skinny cat. You can eat 500 less calories, or you can burn off 500 more calories, or any combination thereof. A compromise would to be eat 250 calories less and do 250 calories worth of exercise, maybe 40 minutes on the treadmill. That kind of practice pays aerobic dividends and allows you to eat more. Another avenue to weight loss is to increase your lean muscle mass through a weight training regimen. Muscles burn calories, fat does not. In the beginning of weight training you may slow your rate of weight loss. Don’t fret, you are reducing your waistline at the same time and reshaping your body in ways that you will like. You will find your clothes fitting better even while your weight remains steady. That is a very nice feeling. Muscle is also slimmer than fat and so are you. When you increase your lean muscle mass, you are making yourself into a fat burning machine. How good is that?